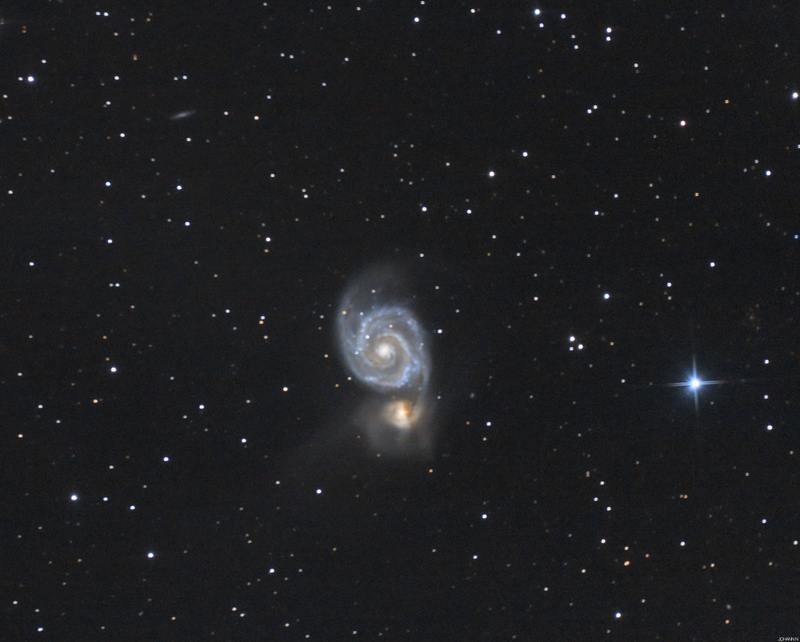 The Whirlpool Galaxy, a new process! The last time I processed this object, I used only 10-15 of all the frames due to trailing ( No Autoguider ). This time, I used all 30 frames regardless of trailing. Pretty decent turnout! Sorry. Wrong email id earlier.